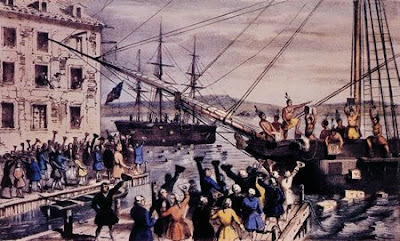 We've all heard about the famous revolt by American colonists that took place in 1773 known as the Boston Tea Party. You can read more about what led up to this event here; what most people recall is that a huge amount of tea was dumped into the sea by the protesters. Not many are aware of a similar incident that occurred in that same port with not tea, but wine. Angered by overly complex and inherently nonsensical rules and regulations passed by the British Parliament whose only motive appeared to be maintaining a monopoly by restricting the free trade of wine from France, dozens of protesters flung cases of fine Bordeaux and Burgundy wines from the decks of British import vessels into the cold Boston harbor one day in 1775. An angry, supportive mob watched from the pier and shore, applauding with each case that sank into the depths. This event came to be known as the Boston Wine Party. A page from a journal kept by one colonist had this to say: "These British importers of wine are nothing more than criminals. They tell us they must maintain control over the distribution channels for our own good but it seems nothing more than a masquerade for them to fix the prices to a most high level, one that is unnecessarily so. We must suffer the manipulations of dozens of hands extracting obscene profits that rightfully do not belong to them but yet we have no say in the matter," wrote the colonist. "Thus rises the cost of partaking in the pleasure of such fine elixir, soon beyond what we can afford." Despite such violent opposition from the colonists, the British turned a blind eye and deaf ear to their concerns and continued exploiting their bureaucracy-supported monopoly. For those historical researchers in the know, it is believed that this situation, culminating in the Boston Wine Party, more than anything else fueled the motivation for the colonists to triumph over the British and become the sovereign United States of America. 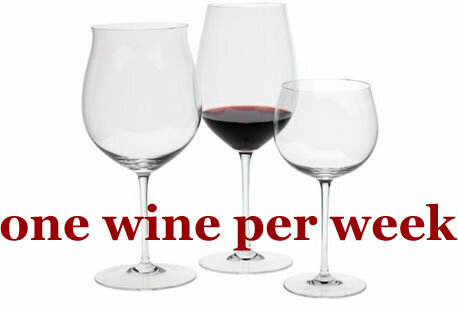 There is also evidence that one of the original Bill of Rights declared that there shall be no restriction upon the trade of wine, but for reasons unknown this never made it to the final articles. May all of you out there have a happy and safe 4th of July!